There are lots of great British car shows throughout the season and lots of fine car museums. But, every so often people and events and places come together to create a not-to-be-missed opportunity. 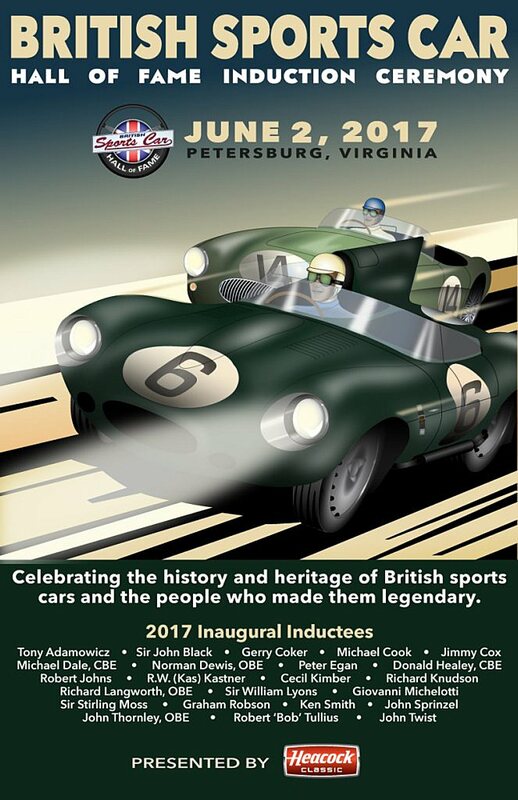 This is the case with the upcoming Induction Ceremony to the new British Sports Car Hall of Fame that will be held the evening before Moss Motorfest in Petersburg, Virginia. The event is filling up fast, and the ticket-required ceremony and party are going to sell out soon. Make your plans now, get your tickets, and you won’t regret it. Registration for the Friday activities officially closes on May 19, but will likely end earlier if they reach their maximum capacity. And I believe they will. The new Hall of Fame is being constructed to not only showcase the cars we all know and love, but to highlight and thank the folks who have made this such a great passion. This first ceremony will honor some of the names we all know as well as a few that might be a little less familiar. To that end, we will be posting a series of articles leading up to the induction ceremony that will highlight each of these folk. Watch for them in the coming days and weeks. As for the awards, Heacock Insurance is the presenting sponsor and each inductee will receive the Moto-Lita Hall of Fame Trophy. This award will honestly be something special. Tony Adamowicz – Although he won enduring fame for winning championships in Trans Am and Formula 5000, he also competed at Le Mans and Daytona, but received his start as one of the first racers employed by Group 44. Sir John Black – Chairman of Standard-Triumph, helped support Morgan, Swallow and Jaguar production, and responsible for the creation of the TR range. Gerry Coker – Designer for the Donald Healey Motor Company, he was responsible for the design of the Austin-Healey 100 and Sprite, later joining Chrysler and the Ford Motor Company, where he invented the 3-position tailgate. Michael Cook – Helped create the image of the great British marques, generated media buzz, launched new models, and publicized racing successes throughout much of the postwar period. Jimmy Cox – Former engine guru at the MG Development Department responsible for many of the company’s racing and record-breaking successes. Michael Dale, OBE – Retired President of Jaguar North America, he was responsible for the company’s activities in the US, Canada, and Mexico. Prior to being named President, he had been responsible for all U.S. Jaguar sales and marketing activities, including advertising and sales promotion. Norman Dewis, OBE – Chief test driver and development engineer for Jaguar, he also competed at Le Mans and held the World Land Speed Record for a production sports car. Peter Egan – The British sports car bard, his longtime column at Road & Track gave voice to the enthusiasts during a time of changing tastes and interests. Donald Healey, CBE – Car designer, rally driver, and speed record holder, noted for his involvement with Riley, Triumph and his involvement with the British Motor Corporation, which resulted in the Austin-Healey marque. Robert “Bob” Johns – As an airman in the United States Air Force, he parlayed his amateur success into a position as a Triumph works driver, including stints at the 24 Hours of Le Mans and the 12 Hours of Sebring. R.W. (Kas) Kastner – From his position as Competition Director for Standard-Triumph in the United States, was the guiding influence and prime instigator for the company’s success, essentially writing the book on how to successfully race cars on a budget and setting the standard for others in the industry to follow. Cecil Kimber – Automotive engineer, famous for his role in the formation and growth of the MG Car Company in Abingdon. 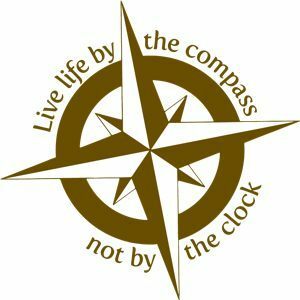 Richard Knudson – Founder of the New England T-Register and one of the guiding lights in the hobby, writing prolifically about the Sacred Octagon and its many accomplishments. Richard Langworth, CBE – Renowned automotive writer, responsible for some of the definitive marque histories ever published, also a recognized authority on Winston S. Churchill. Sir William Lyons – Founder of the Swallow Car Company, which later became Jaguar following the war, Lyons was largely responsible for styling many of the firm’s most famous creations and helped establish it as one of the world’s preeminent marques. Giovanni Michelotti – Prolific designer, who styled cars for Ferrari, Maserati, BMW and Triumph, designing some of the latter’s most successful cars in the postwar era. Sir Stirling Moss – Described as the greatest Formula One driver to never win a World Championship, he competed in open wheel racing, sports cars, and land speed record vehicles, highlighted by a victory in the 1955 Mille Miglia, considered by many experts to be the greatest one day drive in history. Graham Robson – Through a number of authoritative volumes on the various British models and marques became the unofficial chronicler of the industry and its history. Ken Smith – Known as the Dalai Lama of the Sacred Octagon, he is the Editor Emeritus of The MG Driver and was known for his numerous appearances at British car events across the country on behalf of Moss Motors. John Sprinzel – Won the British Rally Championship and his class at the 12 Hours of Sebring behind the wheel of an Austin-Healey Sprite, one of the best-known racing and rally drivers of his era. John Thornley, OBE – First Secretary of the MG Car Club, later serving as Director and General Manager of the MG Car Company. Robert ‘Bob’ Tullius – Founder of Group 44, he won countless races, several championships and paved the way for sponsorship in modern racing. Undeniably the best known and accomplished American racer of British sports cars. John Twist – Founder of University Motors in Grand Rapids, Michigan, he is one of the best-known wrenches in the country and a frequent writer on automotive technical subjects, helping to further the hobby by keeping the cars on the road. Many of these great people are making plans to be at the event. Some, such as Peter Egan, are driving their British sportscars long distances cross-country to attend. The amount of knowledge and experience gathered in one place will be astounding. The British Sports Car Hall of Fame itself was created last year, primarily by Moss Motors, and continues to develop. The Hall is supported by individual and corporate contributions. It was created to preserve and perpetuate the legacy and impact of these legendary vehicles and to honor the men and women responsible for their success. The goal for the Hall as a whole is to become a sort of British Motor Heritage Museum here in the US. There will be displays of significant cars, a reference library, displays pertinent to the history of British motoring in the US, and of course the Hall of Fame itself. And just so you know, yes, we the folks from Just British will be at the Induction Ceremony and Moss Motorfest. We will be exhibiting, supporting, and soaking up every bit of British car ambiance we can get hold of. We look forward to seeing you there. 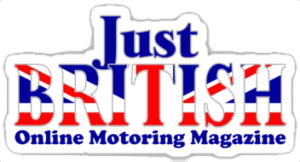 Michael Carnell is the editor and founder of the Just British Online Motoring Magazine. As a lifelong British car fan, he has owned or driven British cars of all ages from Austins and MGs to Jaguars and Triumphs. He currently owns a 1966 Vanden Plas Princess 1100, a 1977 MGB, and a 2002 Land Rover Discovery. Norman Dewis, OBE was the chief test driver and development engineer for Jaguar Cars from 1952 to 1985. During his time at Jaguar, he helped develop one of the greatest-ever upgrades in automotive braking, the disc brake, which has probably saved tens of thousands of lives over the years. Dewis, along with 23 other outstanding individuals, will be inducted into the British Sports Car Hall of Fame in June. Michael CarnellEditor at Just BritishMichael Carnell is the editor and founder of the Just British Online Motoring Magazine. As a lifelong British car fan, he has owned or driven British cars of all ages from Austins and MGs to Jaguars and Triumphs. He currently owns a 1966 Vanden Plas Princess 1100, a 1977 MGB, and a 2002 Land Rover Discovery. I’m in. Registered in January. Will see you there. Wish I had known about this, could have brought MG1 and Pop’s grandson John W. H. Thornley. Ain’t that far from Wadmalaw Island!